Strellson AG, based in Kreuzlingen, is Switzerland’s largest menswear manufacturer and was founded in 1984 by fashion entrepreneurs and former Hugo Boss owners Uwe and Jochen Holy. Strellson also owns its own network of shops shops across the world. Spark was asked by Serviceplan Campaign X to suggest artists that could do an interesting and contemporary interpretation of Queen’s 1978 hit ‘Don’t Stop Me Now’ written by Freddie Mercury. After suggestions for different genres Spark negotiated the recording of demo recordings by 3 very different artists. 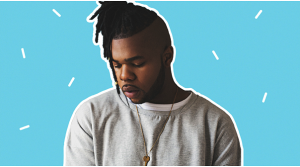 The artist who was given the go ahead was British singer/songwriter MNEK who last year had his big worldwide breakthrough with the song ‘Never Forget You’ featuring Zara Larsson. He is a very talented songwriter in his own right who has written or co-written songs for Beyonce, Madonna, Kylie Minogue, Naughty Boy, Little Mix, Clean Bandits, Oliver Heldens, Bastille and many more. The song was the basis of a video produced and directed by the award winning duo Wolf + Lamm from Berlin and is used for Strellson’s first ever major digital online campaign. The video was launched on what would have been Freddie Mercury’s 70th birthday and was instantly a hit with the marketing press and consumers alike with over 65,000 views in the first 24 hours alone and over 5 million views since. The song was released as a digital single on October 7th and promoted by the record company and MNEK through social media activities. Spark was in charge of music research, rights negotiations with Freddie Mercury’s music publisher and his Estate and MNEK’s management company Modest! Management in London. Spark also oversaw the recording and fine tuning of the song with MNEK and coordinated social media activities via MNEK’s channels.